Rosewood at Baha Mar has announced that Jennifer Guevara has been appointed director of leisure sales of the highly-anticipated resort, which is scheduled to open December 2014 in Nassau, Bahamas. In her new role, Guevara will work with luxury leisure agents and agencies to ensure that top travel partners, including Rosewood Elite Agencies, are made to be experts on Rosewood at Baha Mar’s amazing setting and exclusive amenities and services. Hyatt Regency Tysons Corner Center has named Daniel Amato general manager and Ray Messina director of sales, marketing and catering, respectively. Hyatt Regency Tysons Corner Center, a new build hotel, is scheduled to debut in Winter 2015. 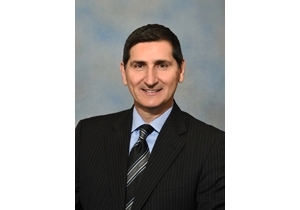 Daniel Amato brings 37 years of experience with Hyatt to his new role at Hyatt Regency Tysons Corner Center, having started his career as a Hyatt Corporate Management Trainee at The Lincolnwood Hyatt House. Among his moves across the country, Amato was part of the opening teams for Grand Hyatt New York, Hyatt Regency Bethesda, Hyatt Regency Columbus, and was the opening general manager for Hyatt Regency Reston, where he served in that role for 10 years. Amato was also general manager at Hyatt Regency West Houston and Hyatt Regency Lake Las Vegas. During his time at Grand Hyatt Washington, Amato was integral to the hotel’s success, including overseeing a multi-million dollar renovation. Amato was named General Manager of the Year for Hyatt’s large room category in 2008, and Washington D.C Hotelier of the Year in the same year. 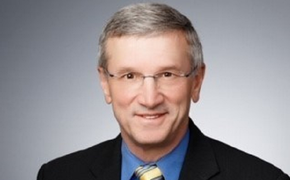 Amato also served as the chairman of Destination D.C., the Convention Bureau of Washington, D.C.
Ray Messina started his career with Hyatt in 2000 as an associate director of sales for both Hyatt Dulles and Hyatt Fair Lakes hotels. From 2001-2004, Messina was the director of sales for Hyatt Fair Lakes and in 2003, he received the Director of Sales of the Year award for Hyatt’s small room category. Later in 2004, Messina moved to Hyatt Regency Reston where he has since served as the property’s director of sales and marketing. In this role, Messina was nominated in 2009 for Director of Sales of the Year for Hyatt’s mid-size room category. Turismo Chile announced Juan Lopez as market manager for North America. In this role, Lopez is charged with championing Chile’s international tourism promotion in the United States and Canada. Lopez previously served as market manager for Turismo Chile in Australia and Asia. He holds a Masters in Tourism from Monash University in Australia and also holds a degree in business, economics and marketing from the University of Talca, Chile. He finished his bachelor’s degree at the Faculty of International Business at the HES Amsterdam School of Business, The Netherlands. Pegasus Solutions has named Steve Guthrie vice president, architecture and design, and James Charles vice president, central reservation systems (CRSs) application development. The positions, announced by Pegasus’ chief information officer Bill Rose, were established as Pegasus responds to hotel demand for its powerful and stable technology solutions. Guthrie’s technology career spans three decades, including nine years at Pegasus. Charles has been with Pegasus since 2008, prior to which he worked with the company as a software consultant. Both have been involved with the next-generation RVNG CRS since it was launched in 2008. Their work has been critical to the development of property management system and channel manager interfaces with RVNG, and to expanding the channels Pegasus hotel clients can market and sell room inventory through.